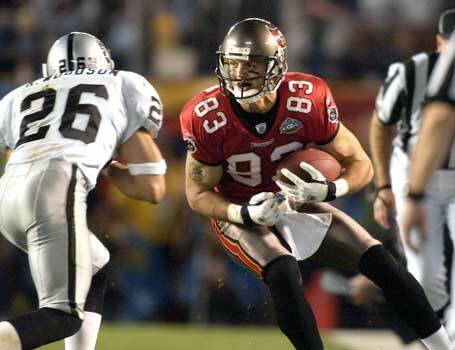 Popular receiver who played three injury-plagued seasons with the Buccaneers but came up with huge performances in the 2002 playoffs including a memorable 71-yard catch-and-run in the win over the Eagles. Suffered the emotional heartbreak of his young son being born with complications and dying shortly after the Super Bowl victory. Went on to play three further seasons with Cleveland and Seattle having originally been with the New York Giants before arriving in Tampa.